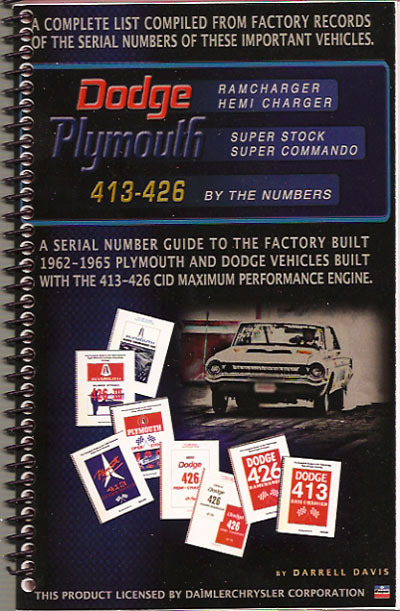 A serial number guide to the factory built 1962-1965 Plymouth and Dodge vehicles built with the 413-426 CID Maximum Performance Engine. I have taken the information contained in my eight volumes relating to these vehicles and condensed it into one volume that should be more easily carried. I have left out the region and dealer information, the shipping date, the tire code, seat belt information and power equipment. None of these items would likely have a bearing on the decision to purchase one of these important vehicles.